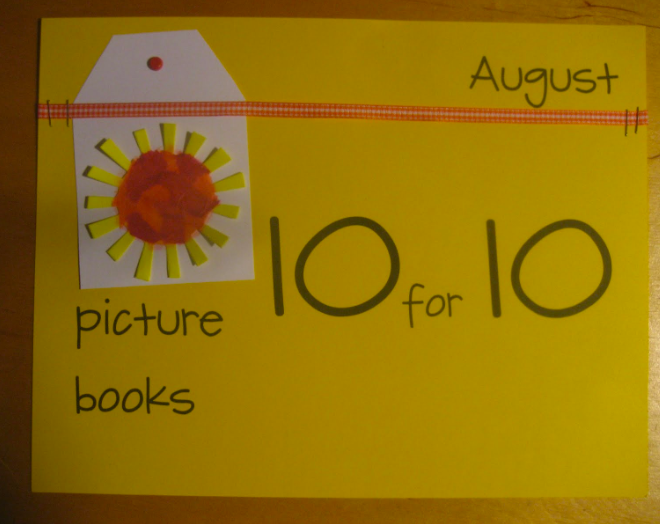 Picture Book 10-for-10 is one of my favorite days of the entire year! It's the day I have to hide my debit card, so I don't go totally out of control buying all of the new books that people share. Some years I am wonderfully clever, and actually have a theme. 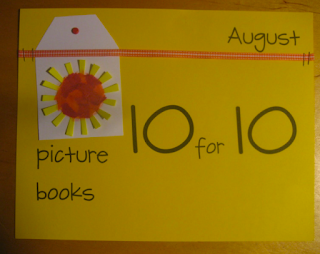 This year I'm just sharing some books that I am looking forward to reading when school starts next year. You can check out a zillion great collections (remember to hide your debit card first!) in the Google PB 10-for-10 community. When Penelope Rex arrives at the first day of school, she discovers that all of her classmates are children. She eats them, because children are delicious. 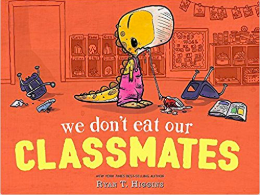 The next day she goes back with good intentions, but again accidentally eats a classmate. It takes Walter, the class goldfish, to teach her an important lesson. Thanks to the ever brilliantTamara Jaimes for sharing this one with me! 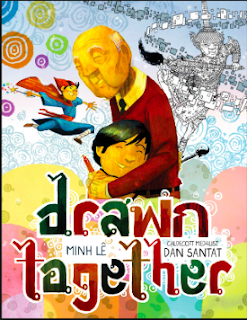 An Asian grandfather babysits his very assimilated American grandson. At first, the two don't seem to have much to say to each other, but then their sketchbooks create common ground. 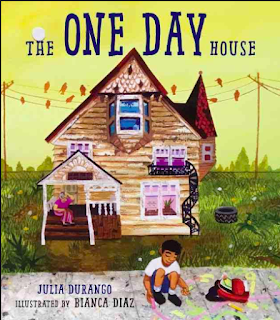 Every time Wilson goes to visit his grandmother, he makes a promise about all of the things he wants to do to her old rundown house. Gigi assures him that she is just fine, and that he is enough for her. 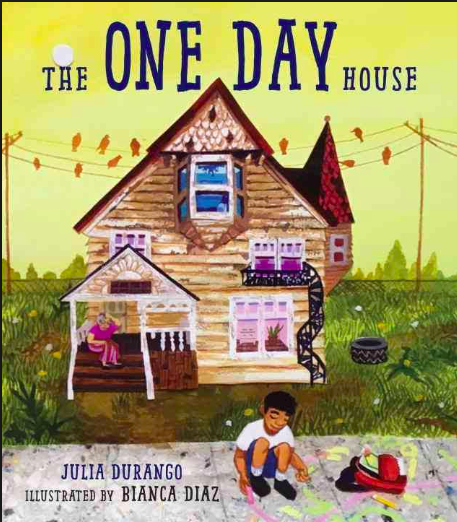 Wilson also tells other people, including the ice cream man and the librarian, about Gigi's house, and one day the community arrives to help. house on the tip-top of a steep hill. All is well until the wind starts to blow. The man is sad until a little girl named Kate arrives and plants trees. 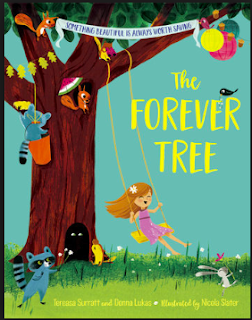 A lovely cumulative picture book about our ability to take care of our world and about the power of trees. 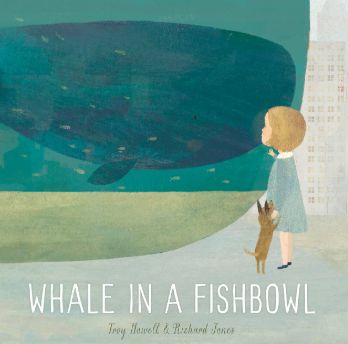 Wednesday the Whale lives in a fishbowl. One day, a little girl named Piper approaches the bowl and tells Wednesday that she's lovely, but that she doesn't belong in there. Her words give Wednesday the courage to try something new. Pair this one with Dan Santat's AFTER THE FALL. A family moves into a new house, only to discover that there is a walrus in the bathtub. 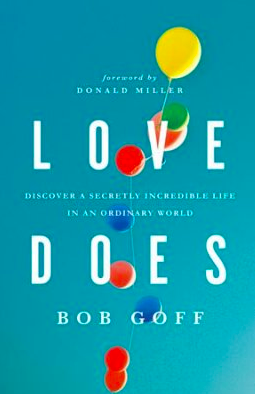 The funnest part of this book is that each page is a different list, e.g. Bad things about having a walrus in the bathtub: 1) Clam shells 2) Screechy seagulls, 3) Bathtub tidal waves. 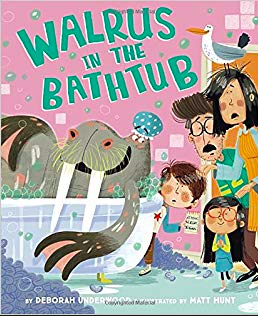 A few pages later: Ways to try to get a walrus out of the bathtub: 1) Have a clam giveaway 2) Dress up like a killer whale 3) Dress your dad up like a lady walrus. A beautiful story about the never-ending life of a tree. 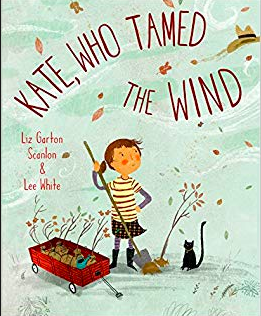 Based on these Wisconsin authors actual experiences-- a tree on Surratt's property is first home to animals, then a little girl's rope swing, built by a loving grandfather. Finally the tree succumbs to Dutch Elm disease and the community comes together to build a tree house around its trunk. Three goldfish, Barracuda, Patch, and Fiss, live in a tall apartment building that overlooks an old broken-down fountain. 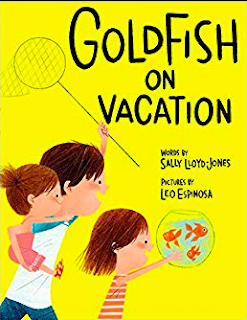 One summer, a man arrives to fix the fountain, and then invites all of the goldfish in the neighborhood to go on vacation for the summer. 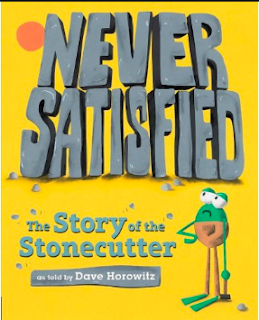 An author's note says that this is based on an actual fountain, the Hamilton Fountain, in New York City. 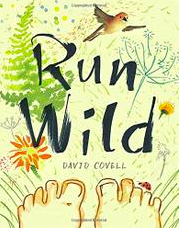 A joyful, rhythmic poetic picture book about a child playing outside on a barefoot summer day. 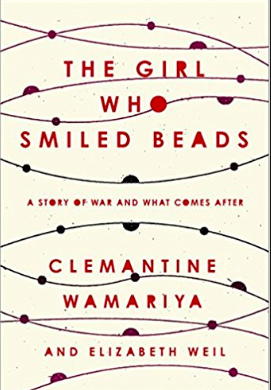 Clemantine Wamariya was six when she and an older sister, Claire, fled their family's home to escape the genocide in Rwanda. Together, the two journeyed from refugee camp to refugee camp to refugee camp in Africa, and ultimately ended up in Illinois. 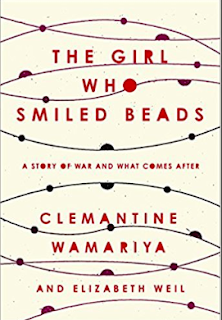 This was a hard, sad book for me, but also a book that grew my understandings of the Rwandan genocide and of the challenges some of my immigrant children face.